Iran’s third and final presidential debate on June 7 was by far the most heated. In often fiery exchanges, all eight candidates lashed out at their rivals, raising their voices and charging opponents with failing the revolution. The debate exposed deep divisions on how Iran should deal with the international community, economic sanctions, Syria, and nuclear policy. The candidates include two reformists, four “principlist” hardliners, and two independents. The third debate was technically about foreign policy. But the two reformists kept bringing the discussion back to basic freedoms—or lack of them. “Freedom of speech is my first goal in domestic policy,” said Hassan Rouhani. Mohammad Reza Aref blamed the principlist camp for virtually all of Iran’s problems. He admonished the conservative candidates for standing by current President Mahmoud Ahmadinejad during his early years in office. Both men also repeatedly endorsed the achievements of former Mohammad Khatami, a reformer who was president from 1997 to 2005. The United States came up often in the debate. 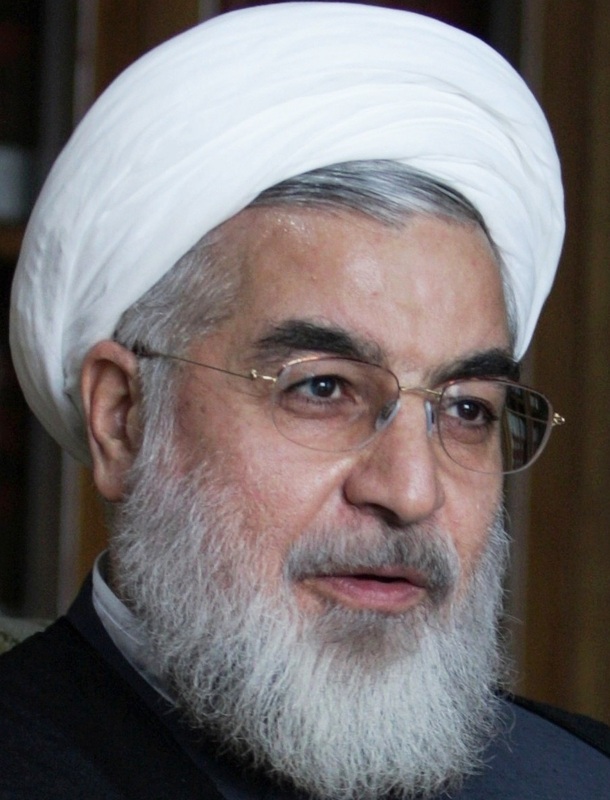 Rouhani credited himself with preventing a possible U.S. attack after 9/11. He served as Supreme National Security Council secretary and chief nuclear negotiator from 1989 to 2005. He was particularly tough on current negotiator and candidate Saeed Jalili for failing to do a deal with the international community. Jalili countercharged that Rouhani’s weakness had forced Iran to temporarily suspend uranium enrichment in 2003. 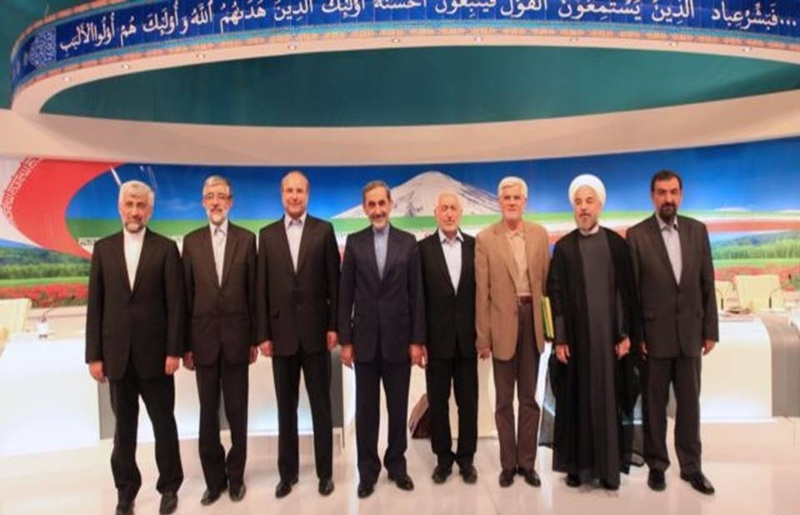 Even the principlists― Mohammad Gharazi, Gholam Ali Haddad-Adel, Saeed Jalili, Mohammad-Baqer Qalibaf, Ali Akbar Velayati ― took shots at each other. Qalibaf (far left), a former Revolutionary Guards officer, highlighted his battlefield role during the 1980-1988 Iran-Iraq War. He accused Velayati, a former foreign minister, of sipping coffee with ex-French President Francois Mitterrand while Qalibaf was being shot at on the front. Jalili and Velayati, who are both widely considered close to the supreme leader, clashed over diplomatic strategy in one particularly unusual exchange. 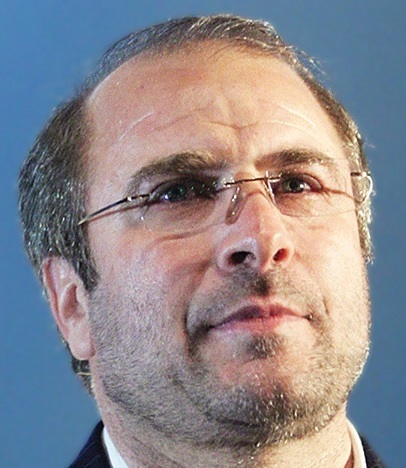 Jalili accused Velayati of being too conciliatory on Iran’s nuclear energy program. Velayati countered that Jalili had failed to get sanctions lifted or protect Iran’s rights under the Non-Proliferation Treaty. “Diplomacy is not a philosophy class,” charged Velayati. Mohsen Rezaei and Mohammad Gharazi, the two (comparatively) independent candidates, attacked both the reformists and principlists. Gharazi claimed that both groups have failed the Iranian public for three decades. 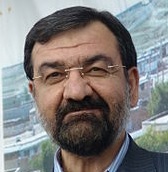 Rezaei called for the end of partisan politics and said that he had worked with all factions when he had commanded the Revolutionary Guards from 1981 to 1997. He criticized the policies of both Jalili and Rouhani, the current and former secretaries of the Supreme National Security Council. At one point, Rezaei even said about Rouhani, “God help us if he wins with this temper.” Rezaei warned that nuclear talks need to bear fruit soon to prevent sanctions from further damaging Iran’s economy. The following are excerpts and points made by the candidates from the debate. • People need to feel like they can speak freely. Freedom of speech brings national power. • Qalibaf lacks managerial experience on a large scale. • The opposition Green Movement did a huge disservice to Iran. • The United States called Iran part of the “axis of evil” after former President Khatami cooperated with it. • Former President Rafsanjani’s policies were in accordance with the West. But nothing came of them. • The Ahmadinejad administration’s foreign policy caused the United States to ask Iran for help. • Choosing between right and wrong does not mean taking the middle path. • The Islamic Awakening was inspired by Iran’s 1979 revolution. • South America is not a geo-strategic priority for Iran. • The West accepts free speech and human rights only when it suits their interests. • E.U. bans on Iranian satellite channels expose double standards on freedom of expression and human rights. • Iran has disrupted U.S. hegemony by negotiating with the world’s six major powers on the nuclear issue. • The shutdown of Iranian embassies in Europe was a diplomatic failure. • Rouhani did not allow student associations to get permits to protest while he was head of the Supreme National Security Council. • Solving the nuclear dispute is the toughest challenge Iran faces. The West accuses Iran of wanting to have a bomb, but it does not. • Lifting sanctions should be a foreign policy priority. • U.S. tensions with Iran are not tied to the nuclear issue. They relate to Iran’s independence and date back to the Islamic revolution. U.S. enmity of Iran is more intense than in the past. • Ayatollah Ruhollah Khomeini stood against the Shah with no means to do so. Iran can learn a lesson from his resistance. • Ahmadinejad is not the cause of all of Iran’s problems. • Diplomacy is not resistance. It is interaction and not about reading a statement. • Reformists sidelined principlists when they were in charge as retribution. • Fix domestic problems before foreign relations. • Sanctions are not very important, whether they are related to the nuclear program or not. • Public servants should be placed in positions according to their skills and talents. • Iran is stuck between two competing groups. One only chants “resistance” and the other claims sanctions have ruined the country. • Iran’s only allies are from the 1980s (Syria and Hezbollah). • Rouhani and Jalili’s foreign policies were both too extreme. • Abolish discrimination against ethnic minorities.